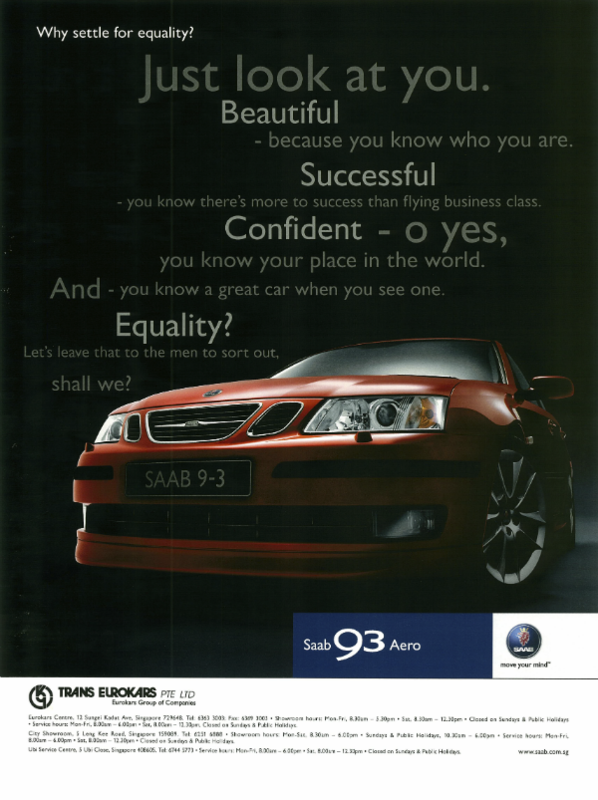 I had never written for a car brand, so when my colleague at Nexus-Asatsu, Singapore, said she’d like me to write the Saab ads as the target audience was women and the ads would appear in Harper’s Bazaar, I was delighted. 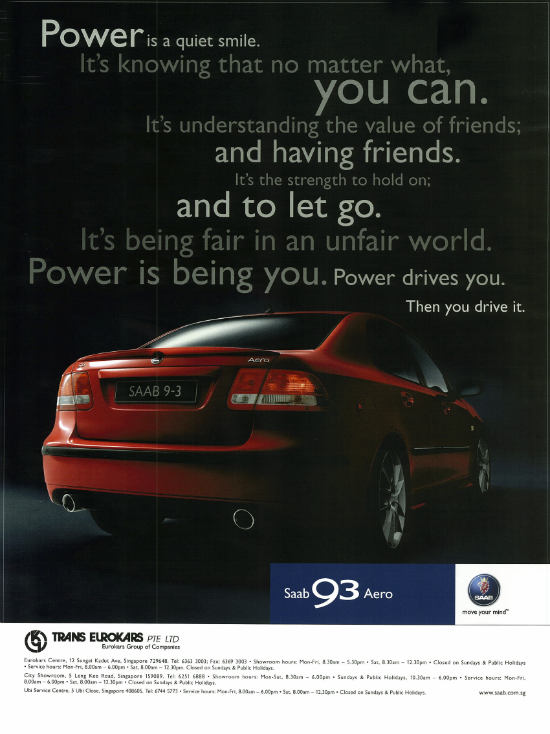 My boss at the time, a Mini enthusiast and a man who knows many things about cars that I don’t, helped me think this through. There’s something about cars that feels exciting. 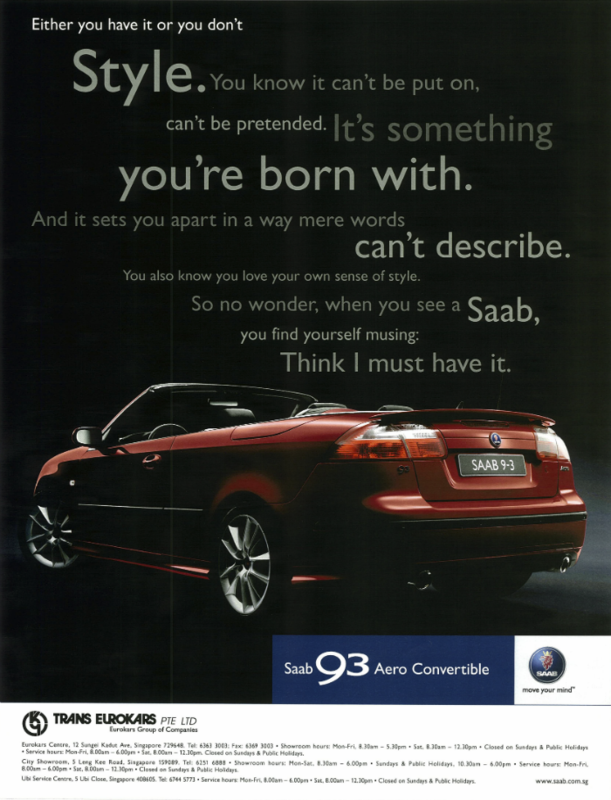 And even though we had to work with images given to us by the client and there wasn’t any fancy shoot, we had fun doing these ads and they do look good, thanks to the wonderful art director who worked on them. Like me, another woman who doesn’t drive.